All things considered, Daniel has done amazingly well with all the change. He has taken on the role of watchful, annoyed older brother, and I have taken on the role of Mom who's constantly keeping her kids from bothering each other. 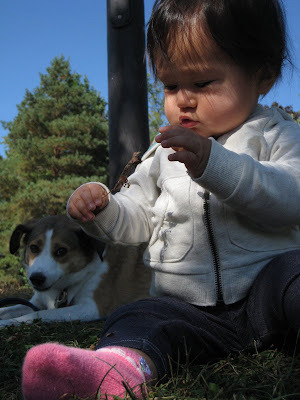 It's a delicate balance trying to keep your baby and your dog baby happy, and often that involves food. What I'm trying to say that Daniel has gotten a lot of treats in the last year. A lot. Of. Treats. 'Yes,' I said, immediately embarrassed. 'We don't get out like we used to...' I referred to my forever scapegoat playing with blocks on the floor. 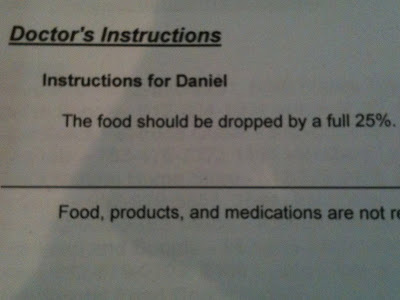 Daniel is not excited about his new diet. Every time I 'fill' his bowl with food I imagine him saying, 'Seriously, Mom? What the hell?' And then he looks at me with those big brown eyes and I want to reach for the treat jar, just so he'll stop looking at me like that. 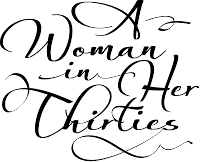 Then I have to remember that a woman in her thirties has to be strong when it comes to the health of her family. Two years ago this week, Daniel came into our lives. He gave us our first taste of what it meant to be responsible for someone other than ourselves. He brought our family together. A few sad looks are worth it, if it means he stays healthy and happy. Duuude. Daniel has a canine beer gut. Maybe he's just stocking up for winter? Poor guy. He'll be back on track in no time though! Ohh Daniel! He's so cute...it must be so hard to not give him treats! You're doing the right thing though Mom. You can DO it! Awww. Dan is the BEST!